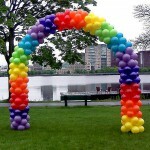 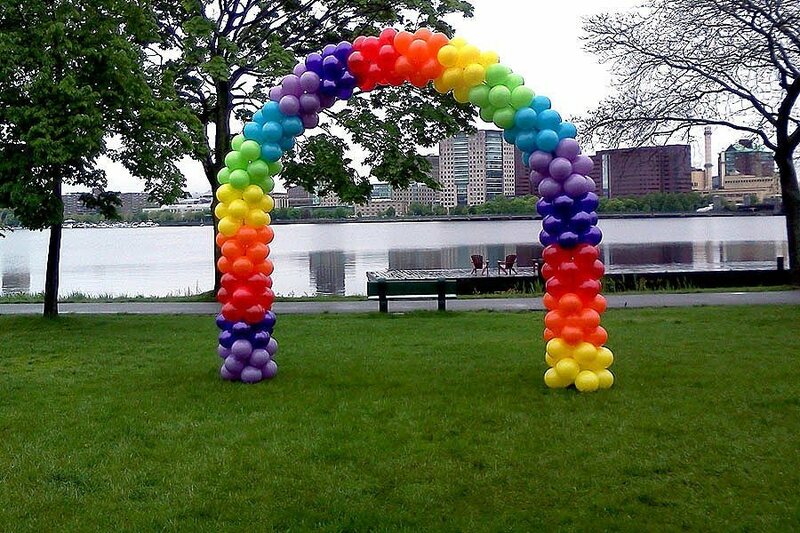 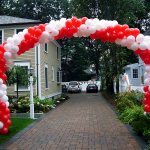 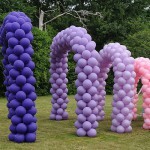 Rainbow balloon arch on Charles River for Hill House organization. 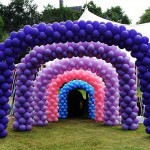 Yearly event that WOW! 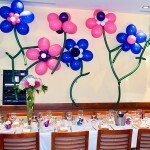 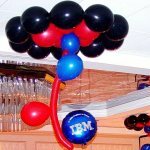 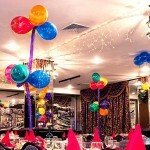 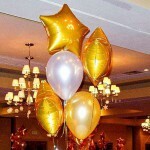 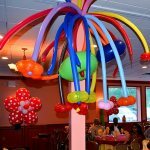 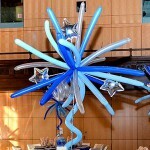 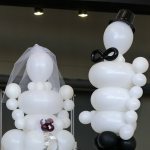 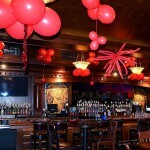 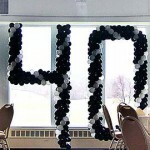 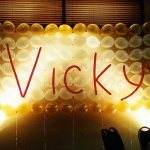 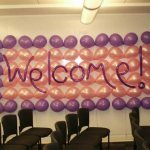 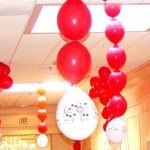 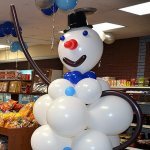 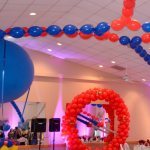 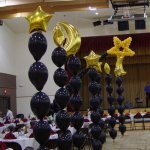 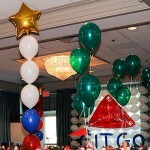 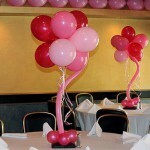 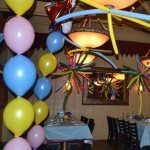 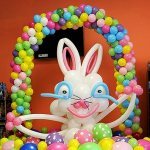 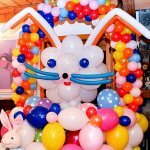 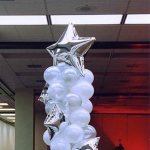 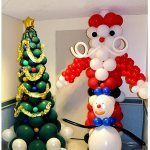 Balloons, Inc. decorates for the last 10 years of so. 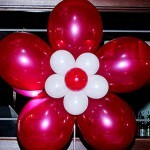 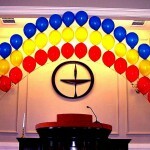 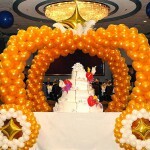 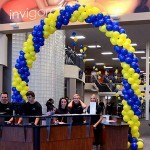 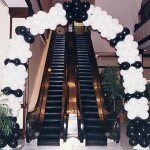 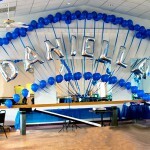 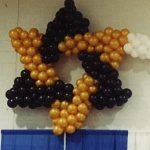 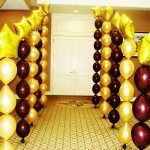 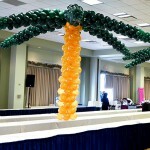 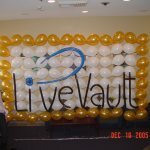 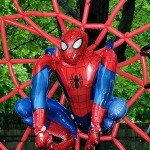 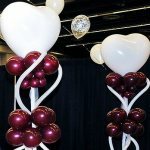 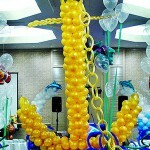 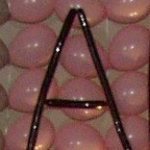 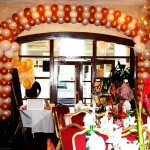 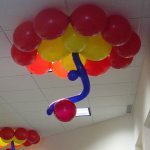 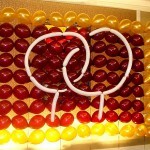 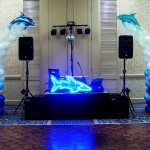 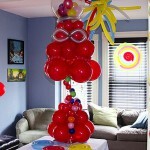 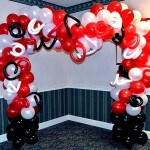 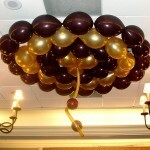 Interesting thing is that now everyone is asking for a swirl balloon arch and this one is not. 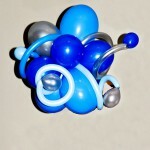 Every color is represented by several clusters placed together. 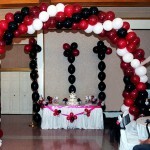 One of the very effective way to use this type of coloration is alternate colors, say black and white.